This topic contains 136 replies, has 26 voices, and was last updated by Anonymous 3 years ago. I can’t find the exact post right now, but I saw someone use what looked like the bracket used to secure the table extension to actually join the rails together as a pair to make that double long setup. The post I linked had the rails welded together but I recall seeing someone using brackets to do the same thing effectively. They are OEM and come with the saw. You can buy them from bosch as parts. I think you could get away with just one and cut it in half. Using half on the front and half on the back and put the OEM out feed that was on the right side (now replaced with the router insert) on the left side. I would have to check and make sure it would still fold up on the gravity rise stand. Self employed Pro since 2014!! Hey @thedude306 , I got my router insert 2.0 in yesterday. WooHoo!! Thank you very much…..
Wow I love this idea, how did I not think of this before. Now I am inspired. Hey thedude306 , I got my router insert 2.0 in yesterday. WooHoo!! Thank you very much…..
That was nice of Brad to send you his old one. Very nice of Brad, this is very cool project, I am not sure how I missed it earlier. Glad it worked out for you Dabbs! I sure do like having the extra router set up. Are you still interested in extending the rails? Congrats that’s a great addition to your saw Dabbs. A Working Pro since 1994! Member since March 26, 2014. That’s a pretty cool idea . What holds it in place for you . Hey that is a really nice idea. Congrats on getting on Boyd. Ive actually gone with removing the OEM metal part so that I can move the end in an out again. I am not using my TS that much with the purchase of my track saw. It only rips thin strips these days. I think I am going to pass on the extra set of rails. 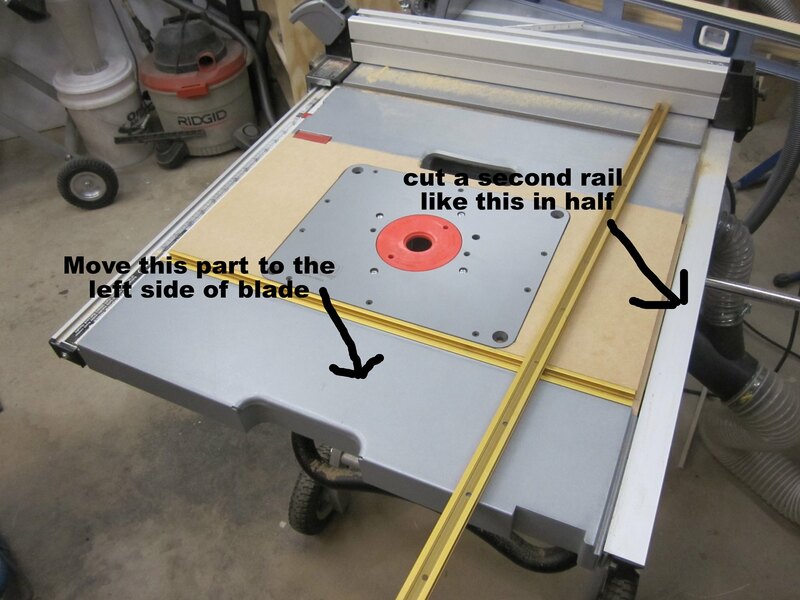 I like the fact that having the router table built into the table saw saves so much space. 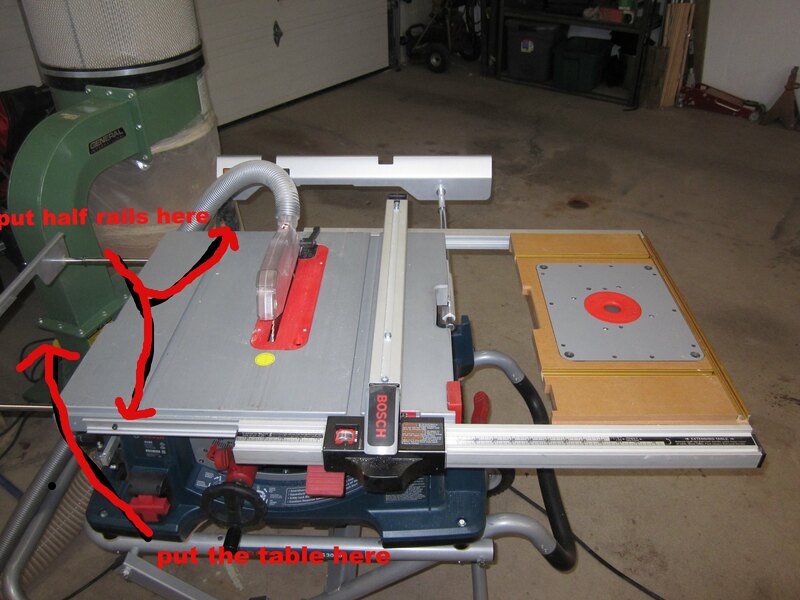 I just bought a new plunge router a few months ago, and will be using it more and more. The design of this thing is near perfect, and would be so handy.